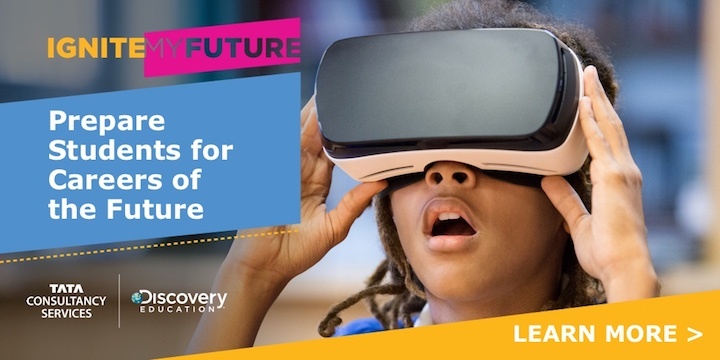 Join Tata Consultancy Services and Discovery Education as we launch Ignite My Future in School, a one-of-a-kind initiative transforming the way students across America learn through computational thinking, a foundational skill for 21st century success. Explore how teaching computational thinking skills can make an impact in your classroom. Ten districts across the U.S. are joining together to celebrate the launch of Ignite My Future In School’s TECHademy. These lighthouse districts and their educators will engage in an immersive professional development experience, learning the fundamentals of transdisciplinary learning and how seamlessly integrate computational thinking into their 21st century classrooms.